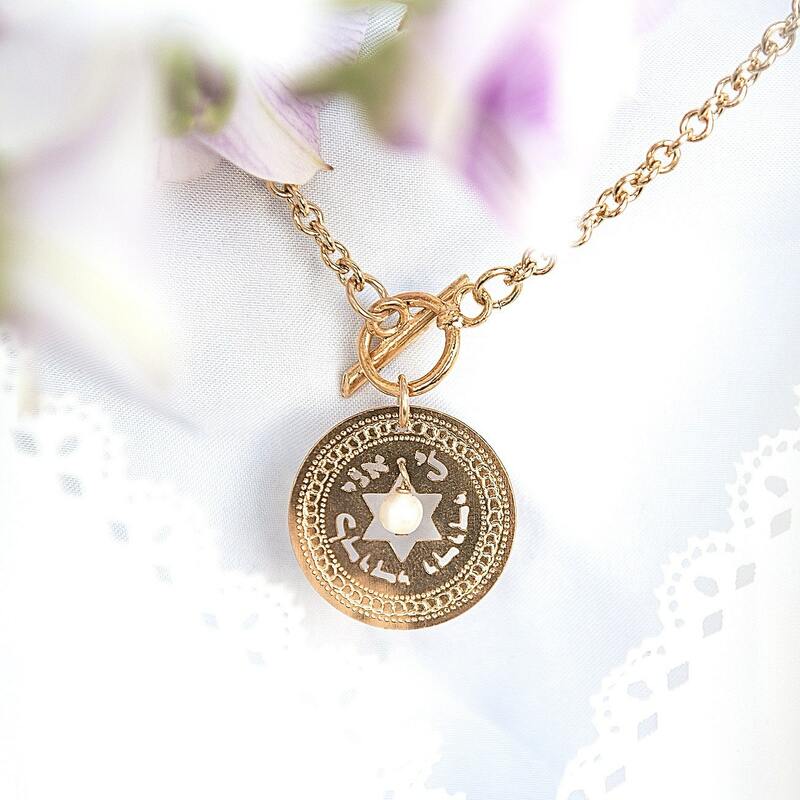 Judaica Gold necklace with the ELUL verse - "Ani Ledodo vedodi Li ". The circle is just over 3/4 inch wide. Total chain length is 18 inches. Pearl inside a cut out star of david - This is quite a design :) The necklace are made of 24 karat gold plated brass and pearls. This is a perfect gift to give for a wedding or to wear on your wedding day! - The standard shipping that's listed takes about 2- 3 weeks. Thank you for looking at my ELUL necklace I also make other judaica jewelry in my shop, and I'd love for you to stop by and check out the other jewelry and the rest of the jewelry sometime.